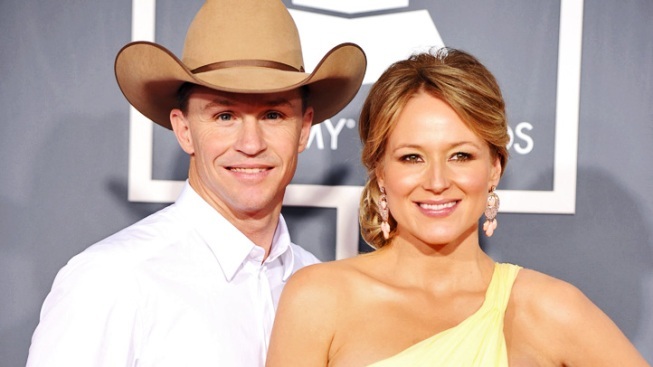 Singer Jewel and her pro bull-rider husband Ty Murray have welcomed a son into the world. Jewel, 36, gave birth Monday night to 7 lbs., 6 oz. Kase Townes Murray, at a hospital in Texas, according to People Magazine. The pair live on a large ranch in the Stephenville area. "Ty and I are so pleased to welcome our new baby boy into the world," Jewel told People Magazine. "We are overcome with happiness – it really is as great as everyone told us it would be – better even!" The pregnancy was not without its scares. In March, when Jewel was two months pregnant, the singer was struck by a Harbin Volunteer Fire Department fire/brush truck in Erath County. The Empire-Tribune reports Erath County Commissioner Jim Pack was driving the truck on his way to a grass fire on US Highway 67, when the truck hit the car carrying Jewel on the passenger side. Pack's siren and lights were on, and the accident remains under investigation. Both mom and baby were reported at the time to be fine following the crash. Appropriately, Jewel has been working on a new album -- but this one is for kids. The Merry Goes 'Round is due out in August.